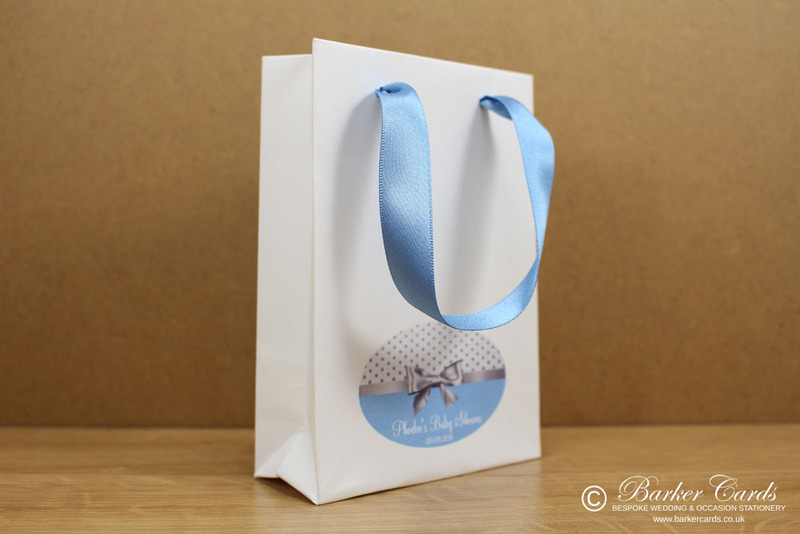 Our handmade printed baby shower gift bags are an ideal way to present small gifts in a personalised and unique way. 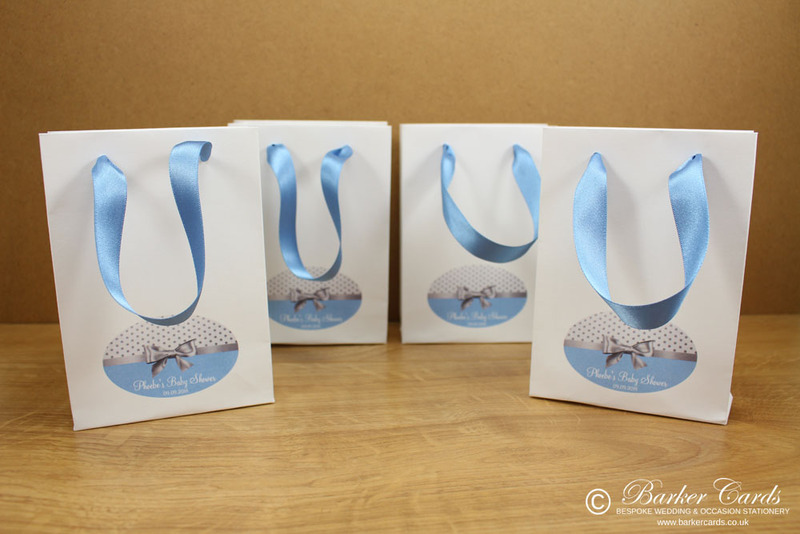 Gift bags may be printed with your chosen wording / images making them ideal for baby showers, weddings, corporate events or point of sale for small businesses (we can even print your logo on the bags). Minimum order of 10 bags. Gift bags are available made in pearlised white, ivory / cream 120 GSM or matt white or ivory / cream 150 GSM paper. Bags may be made with or without double sided satin ribbon handles, available in over 80 ribbon colours. Gift bags are handmade to order, so can literally be made to your exact requirements. Bags measure approx. 14cm x 9.8cm x 3.7cm (HxWxD). When you place your order, please add a message with your chosen wording or image / logo for personalisation. Don't forget to tell us whether ribbon handles are required, along with your paper and ribbon colour choices. All design artwork for gift bags will be made available for your approval before production of your order to ensure it's absolutely perfect for your special occasion. and to order using product code GB02.